Less than an hour before H.E. Sheikh Mohammed Bin Essa Al-Khalifa was due to take the stage and welcome over 400 guests including event partners and finalists to the first Bahrain Award for Entrepreneurship, he was seated with me in the rather loud ART Rotana Hotel lobby. We were talking –shouting- about Bahrain’s economy (“as a regional hub for trade and investment”), the government’s support of the private sector (“to make it the key driver of sustainable economic growth”), and entrepreneurship in the Kingdom (“we need to continue to promote entrepreneurial culture as a viable career option, especially amongst youth).” Sheikh Mohammed is what I call an optimistic realist- by this I mean that while he admits that while Bahrain is facing undeniable economic challenges, perspective is needed to thoroughly assess the country’s prospects and current status. Sheikh Mohammed wears more than a few hats, but as of March 2012 his primary role is as the Political and Economic Affairs Advisor to Bahrain Crown Prince HRH Prince Salman bin Hamad Al-Khalifa, and he acts as the senior representative of the Court of the Crown Prince both inside and outside of the Kingdom, leading the policy and communications units within the Court. 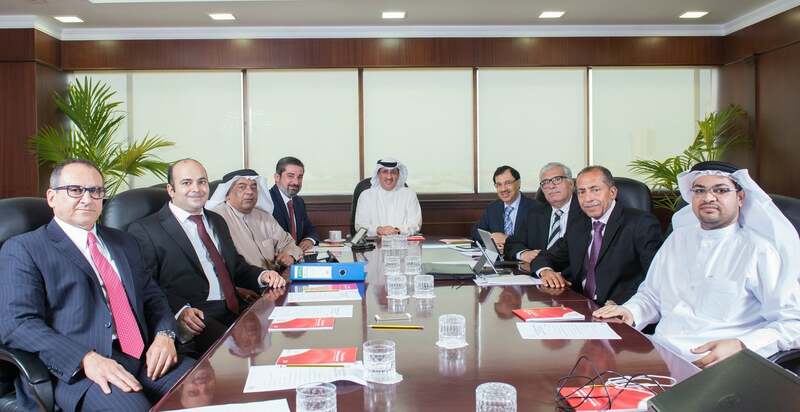 In this capacity, and in his role as the Chairman and Acting Chief Executive of Tamkeen, Bahrain's financials and the robustness of those financials are of chief importance. For a man with so much on his plate, about to address hundreds of members of the Bahraini enterprise space and both local and regional royalty, the Sheikh seemed surprisingly meditative. During the course of our conversation, and throughout the Awards ceremony that followed, I see that this is one of the jovial Sheikh’s qualities; he’s not a rash man and he considers my questions carefully before addressing them with equal measures of hopefulness and fact- which is not to say that he isn’t realistic about Bahrain’s current economic standing. An alumnus of the American University in Washington D.C. with a degree in Economic Theory, and a post-grad of London School of Economics with a diploma in Business Studies, Sheikh Mohammed regularly attends the World Economic Forum (WEF). “You have to measure and work on output. What we need is sustainable growth, and our philosophy has always been that Bahrain has the most diversified economy in the Gulf, and we aim to grow from 5% to 6%- which is sustainable. It has served us well for 20 years. Having said that, Bahrain is an open economy and therefore exposed to global shocks so what goes on around us affects us, but these are just natural challenges that we have to deal with and they’re not unique to Bahrain. Our challenge is: what’s next? How are we going to grow?” This is where the Sheikh says “disruption” is needed- “shops starting on Instagram in Bahrain for example,” referring to the proliferation of micro-enterprises on social media in the last few years. But still there are areas of concern like last year’s suggestions made by the International Monetary Fund (IMF) after a visit to Bahrain in March. The post-mission statement said that “diversifying the sources of fiscal revenue is essential in the longer term to lower vulnerability to oil price shocks,” but it did indicate some positives as well, mentioning that the banking sector was in “good health” and that the Kingdom was not “affected by the most recent bout of volatility in global financial markets.” In November 2014, the Oxford Business Group noted that the country’s “debt levels rose to US$13.2bn, representing 44% of GDP at the end of 2013, up from 36% in 2012.” According to The World Bank, Bahrain’s GDP in 2013 clocked in at $32.89 billion with a population of 1.332 million, and the country was ranked 53 in the 2015 Doing Business report issued by The World Bank Group. By comparison, the UAE and Saudi Arabia were ranked 22 and 49 respectively, and if you want to compare island for island, Singapore was ranked #1 with a 2013 GDP of $297.9 billion and a population of 5.399 million. The same report notes that changes in Bahrain have now made it easier to register property and get credit, so some areas are making marked improvement, but they still have a long way to go. Sheikh Mohammed points out a few positives that don’t exactly offset these challenges, but they do help you as an entrepreneur: that their intellectual property laws are the strongest in the GCC, and that “you can set-up as a 100% wholly owned as a Bahraini company- not offshore centers or free zones.” And those same companies that get set up in the Kingdom should be thinking in terms of scale- but not within Bahrain’s borders, he explains. “What I would like to see more of in Bahrain is more people thinking bigger, beyond our borders. You don’t need to grow that much in scale to serve all of Bahrain and take their businesses outward- a lot of people are pleased and content with the success here, but it’s important to think about having a regional impact, and perhaps even a global impact.” This is one of the reasons that Tamkeen exists- to coach and assist existing SMEs, startups and even micro-businesses in scope, scale and process. As a semi-governmental entity and a facilitator of SME-strength in the Kingdom, to make even more progress PR and contact with the general public is a top priority. “The Bahrain Award for Entrepreneurship is a showcase of Bahrain’s entrepreneurial spirit, and a celebration of our business pioneers,” says Sheikh Mohammed. “I’m excited about it; over the past five-six years, we’ve achieved a lot in entrepreneurship in Bahrain. We need to start recognizing businesses and promote this more to create the next generation because success breeds success. We need to highlight the successes to motivate the next generation, and it’s about giving people the desire to grow outside of Bahrain even.” As a “key cornerstone” of the Economic Vision 2030, Tamkeen has a number of programs, and to date they report that they’ve served over 100,000 Bahrainis and Bahraini businesses. In the coming years, their focus will be support programs geared toward the developmental cycle of businesses, and currently startups are considered a separate customer segment with their own set of tailored programs including the Business Incubator and Pre-Seed Capital Support programs, both executed in partnership with Bahrain Development Bank, the Feasibility Study Support program and the Micro-Finance Program amongst others. The more enterprises succeed, the more people they can employ and so by default, even people not inclined toward entrepreneurship stand to benefit from Tamkeen’s work. There is no easy solution, admittedly, but the Sheikh is clear that Tamkeen’s role as a facilitator for enterprise in the Kingdom is not only good, it’s absolutely essential for economic prosperity. It’s not just founders of companies who stand to benefit- it’s Bahrain as a whole: “For entrepreneurship to truly flourish, it needs the right environment in which all stakeholders are actively involved,” and through Tamkeen and their many partners, the government hopes to keep the momentum going.